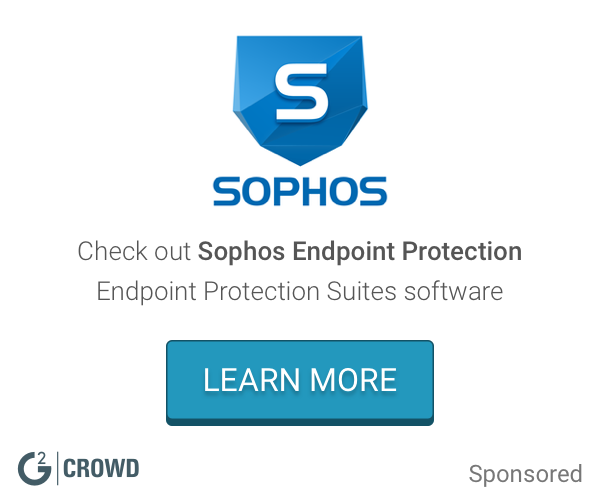 Work for SentinelOne Endpoint Protection Platform? "Most Efficient & Intelligent Security Platforms Available"
our decision to move (as an office) from Norton to SentinelOne. We are new to this service for only about a year BUT can say confidently we have no complaints as of yet. We went from having trojan, cryptolocking, and general malicious activity almost weekly to none that we can speak of. Their Behavioral AI used to flush out malware is proprietary to them and as far as I know, totally unmatched. As a company with multiple agents who work from home or out of office it's nice to have the peace of mind that all of our devices are protected with Sentinel's static AI engine and behavioral AI working all the time to neutralize threats before they become active. It's a superior proactive approach versus a reactive one. Can't beat it. "Sentinel One lives up to its promise"
The product is easy to administrate. The console is very simple and gives a clear overview of the status of endpoints. Rolling the product out to endpoints is simple. The agent less client makes the product tamper proof. The AI feature has helped to identify and quarantine threats. The ransomware guarantee is a very useful risk mitigating feature. We have not found any glaring features that we dislike. The pricing may be a little higher than competitors but the ease of administration compensate for that by far. It simplified the administration of this service within our organisation. It also assist with recovering an endpoint during an incident and aids with the providing a thread of the incident which assist with forensic investigations. "Extremely well implemented security solutions"
This software is however one of the best that any industry can hire for their safe and secure interaction and storage of data. Sometimes the platform crashes which results in high data lose but they come with backup solutions hence again delivering a better quality service which is promised. Highly recommended for new business operators looking for a cost effective information security systems. We at our workplace are resolving issues which hinder our data storage and data management procedures sentinel one offers a high quality service that increases our data security and advances assures that our data and information is in right hands. "SentinelOne - An Effective Endpoint Security Solution"
SentinelOne does what it says it will do. We deployed the solution in about a quarter of the time we had budgeted. SentinelOne gives us much deeper awareness at the endpoint than we've had previously. It has caught one very advanced zero-day threat in which none of the other signature-based AVs detected on VirusTotal. This includes the classic AV we still currently run simultaneously with SentinelOne on our endpoints. We'd like to see STIX support and deeper forensic information on suspected threats. Evaluate the specifics of what each 'next gen' endpoint protection platform actually accomplishes and the technicalities of how it is accomplished. Ensure your PoC includes AV bypass detection and samples of your own malware. We needed to reduce cybersecurity risk at the endpoint with a reasonable and efficient TCO. We wanted to add the ability to have deeper behavior and anomaly detection at the endpoints. "We love SentinelOne. Best on the market"
I love that it was so easy to deploy and automate. Their technical resource pool was a great help in assisting us with our deployment. We were able to deploy in under one day. I dislike that we can not turn off lateral movement notifications. We did not have any endpoint security until this. We are now protected from attacks and have a guarantee of $1M for a ransomware attack. SentinelOne delivered on it's promise to completely replace my old AV solution (Sophos). I wasn't looking to supplement Sophos, I was looking to get rid of it, and that's exactly what I was able to do. A lot of next gen endpoint protection solutions say they can replace AV completely, but in my evaluations, they couldn't. SentinelOne's detection and protection are top notch. Add to this the ability to roll back from ransomware or other infections (if something magically makes it through) in a matter of mins, and you have a real winner. The product is still relatively new so it's missing some features like ability to temporary disable an agent from the console, set custom uninstall passwords, etc. But none of these things are deal breakers and tons of new features are being added in each release. I'm getting more sleep since I'm not worried as much about ransomware! We really wanted a lightweight replacement for our AV solution that could stop zero day threats, and that's what we got. The fact you have to reboot the machine to complete the installation; however, they are currently working on changing this which will resolve our only issue. "SentinelOne, Best of the Best"
SentinelOne has taken our time spent on endpoints that are infected from 8-10 reimages a week to 1 every few weeks. They have also given us the forensics that we did not have before. Some of their reporting capabilities. However, they are currently working to update their reporting. "So good, I can't even notice it. " It is nice and lightweight, so hard to even notice it is installed. When it blocks something, it doesn't really let you know why. "Truly one of the best NextGen AV's"
This AV is intense and provides an extra layer of security that many traditional AV's cannot. It uses predictive AI to ensure your systems are kept safe. It can use some CPU/memory power if a system is infected. Protecting the company against ransomware/malware, etc. "Able to whitelist by hash"
White listing by hash means you don't have to do it by file location or name. It is a pricey product so it's hard to afford. Learning about SentinelOne Endpoint Protection Platform? * We monitor all SentinelOne Endpoint Protection Platform reviews to prevent fraudulent reviews and keep review quality high. We do not post reviews by company employees or direct competitors. Validated reviews require the user to submit a screenshot of the product containing their user ID, in order to verify a user is an actual user of the product. Hi there! Are you looking to implement a solution like SentinelOne?